We adored posts like this and this we've seen on the internet. 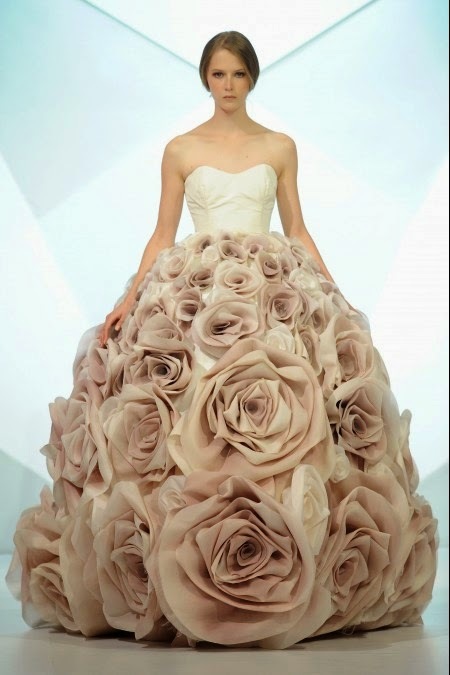 This clever use of perspective made us want a skirt that resembled a rose or a tulip but thought it was impossible. Jean Louis Sabaji turned those photos into a reality through sheer talent and skill. Jean Louis Sabaji's latest collection is the embodiment of what this spring season is about. Think spring and you think of bees buzzing and flowers blooming. This collection has all of that. Literally. The Lebanese designer chose to do over forty looks for this collection and while some have said it could have done without some pieces, we like to think otherwise. He definitely took some risks with his designs like using insects for decoration and sculpting fabrics to look like flowers. Bees and beetles aren't really our thing but the way he positioned them in the pieces is so well thought out and meticulously executed. This certainly let us see them in a better light. Some of his pieces could be said to be too much like the calla lily bouquet on the shoulder/neck area of a cream jumpsuit or the giant silk rose covering pretty much half the lower body. That being said, there are still a lot of pieces that are more ready-to-wear, something Sabaji wanted to introduce in this collection. 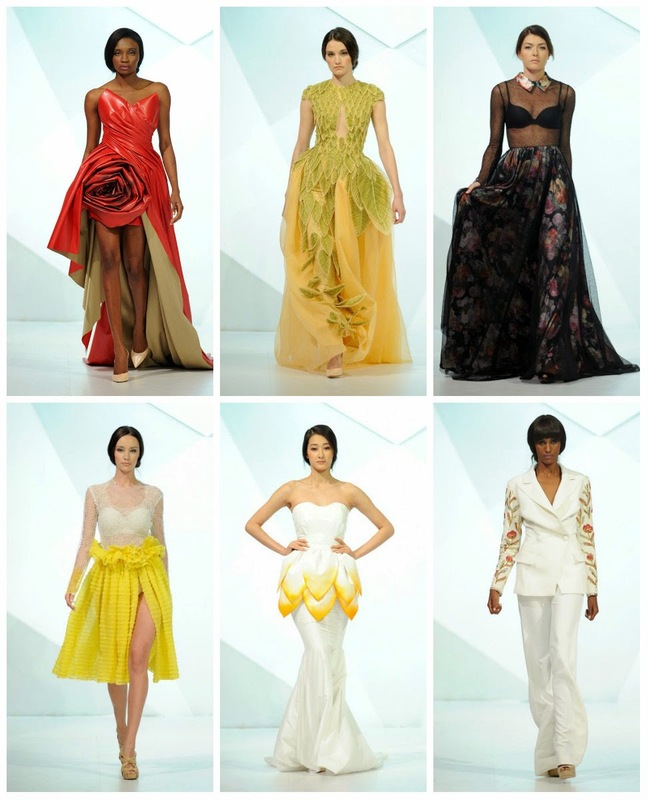 The whole collection was definitely a display of what Sabaji is capable of doing and how he can bring something more into the world of COUTURE! Sabaji's attention to detail and technique is no surprise influenced by being the son of a couturier. He uses this to his advantage, seen attentively in how he crafted and hand painted the flowers for the collection. Braided organza, which is the signature of the brand definitely added luxury to it. His use of different fabrics like silk and chiffon with gracefully flowing designs on the models felt adventurous. There certainly wasn't anything careless about his pieces. This nature-inspired collection was not made on a whim. Sabaji wanted to show the peace in nature and how people should find this balance between themselves. He achieves this vision beautifully as the simplicity of the colors did not overpower the extravagance of his designs. Sabaji's show kept everyone on their toes and, safe to say. There was no single dull moment during his showcase. His collection is something you can't help but notice and we think that's a good thing for a young designer like himself. Sabaji has certainly made an impression in the fashion industry and we believe Sabaji did a lot of right things with this collection. If you want to see more of Jean Louis Sabaji's work, visit his website, facebook page and instagram. Follow him on twitter here. Source | Source Other images used were taken from Jean Louis Sabaji's official facebook page and website.